A blizzard is a heavy snowstorm with very cold temperatures, and high winds. Here is a list of top interesting facts about blizzards. 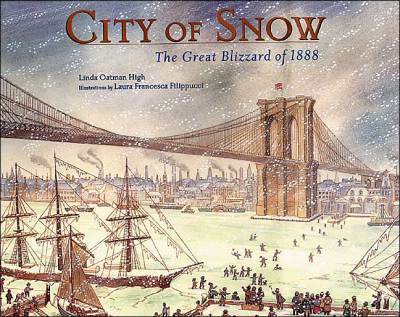 Blizzards can kill people, cause traffic accidents, and bring cities to a halt. A blizzard is a storm with winds of at least 35 mph and temperatures below 20°F, with enough falling or moving snow to reduce visibility to less than 1/4 mile. Blizzards only happen in cold front. The Wind picks snow off the ground or when it falls. Blizzards often cause severe damage to buildings and can bury structures under many feet of drift snow. 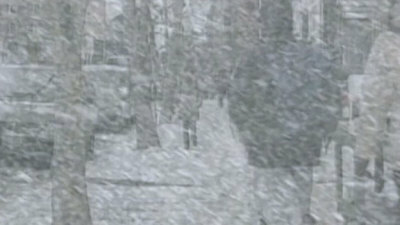 The Saskatchewan blizzard of 1945 was the worst recorded in Canadian history. About 187 inches (15.5 feet) of snow fell in seven days on Thompson Pass, Alaska in February 1953. The greatest daily snow fall was 62 inches (over 5 feet) also on Thompson Pass, Alaska. 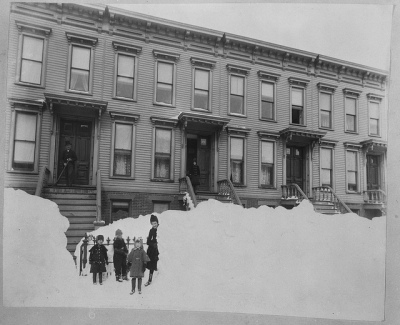 Some of the most memorable blizzards in the U.S. have occurred on the East Coast, known as Nor’easters. The storms stall over the coast and last anywhere from 12 to 24 hours with snow amounts measured in feet rather than inches. 1888 has the distinction of being the year of two legendary storms. The Schoolhouse Blizzard struck the Plains States in January from Texas to South Dakota, stranding children in their one-room schoolhouses, hence the name.About 235 people died, most of them school-aged kids on their way home that never realized they had no chance of traversing the whiteout conditions, where the ground could not be differentiated from the sky. 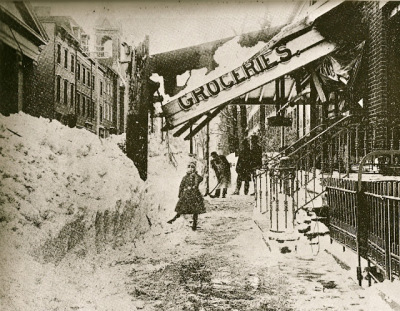 In the Great Blizzard of 1888, snowfalls of 40-50 inches fell in parts of NJ, NY, MA and CT and produced snowdrifts of more than 50 feet.Railroads were shut down, and people were confined to their houses for up to a week. People tried to go to work for fear of losing their jobs, and almost 30 of them in New York alone froze to death on their way home after they found there was no electricity. If caught outside in a blizzard, it is not a good idea to eat snow because it will lower your body temperature. It’s best to melt the snow first. 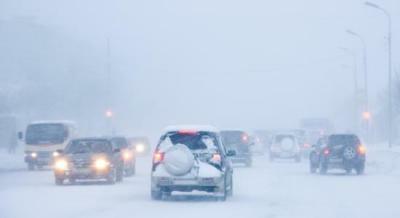 The Midwestern U.S. and central Canada is often referred to as “blizzard country.” People in “blizzard country” have experienced the dangers and inconveniences of snowstorms. They build houses with steep roofs so snow won’t pile up, and farmers even purposely plant wheat in the fall. It is protected by the snow that covers the ground in the winter and is watered by the melting snow in the spring. After a blizzard, there is still the job of removing the snow. Snowplows are sent to work clearing the roads. Sometimes the snow becomes rock-solid making the job nearly impossible unless strong, heavy plows can be used or warmer temperatures soften the snow. Also, you should have a winter safety checklist for your home and car or vehicle so you can stay safe during severe winter storms or blizzards.